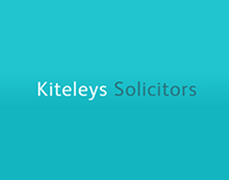 Kiteleys are at hand to provide first rate personal legal services, with passion and understanding. Our accomplished team of solicitors can help you safely navigate all aspects of personal law, from personal claims to family issues concerning divorce, financial matters or making a will. We believe in demystifying the law to make personal legal matters straightforward and as worry free as possible.